Though raw pet food diets are popular, they are also controversial. The most important question when considering a pet’s diet is whether it is safe and healthy. Several studies indicate potential risks exist for pets who consume a raw food diet. Processed raw pet food diets are frozen or freeze-dried. They typically consist of muscle meat often still on the bone, whole or ground bones, organ meats such as liver and kidney, vegetables, and raw eggs. Because of bacteria in raw meat, there are risks to both human and pet health. These potential risks include damaged health of pets given unbalanced diet for extended period of time, and the potential for whole bones to choke, break teeth or cause internal puncture wounds. Research shows raw diets have nutritional deficiencies or excesses. Both could cause serious health problems, when given over a long term period of time. Raw pet food may not contain enough calcium and phosphorous which are vitally important for bone health. Raw meat diets high in liver could provide too much vitamin A resulting in vitamin A toxicity, if given over an extended period of time. Dogs with health problems like pancreatitis should avoid eating a raw diet. Those with cancer or other immunosuppressive diseases should not consume raw pet food. Puppies should avoid raw pet food. Bone deformities and growth issues can occur when a puppy’s calcium and phosphorous levels are out of sync. 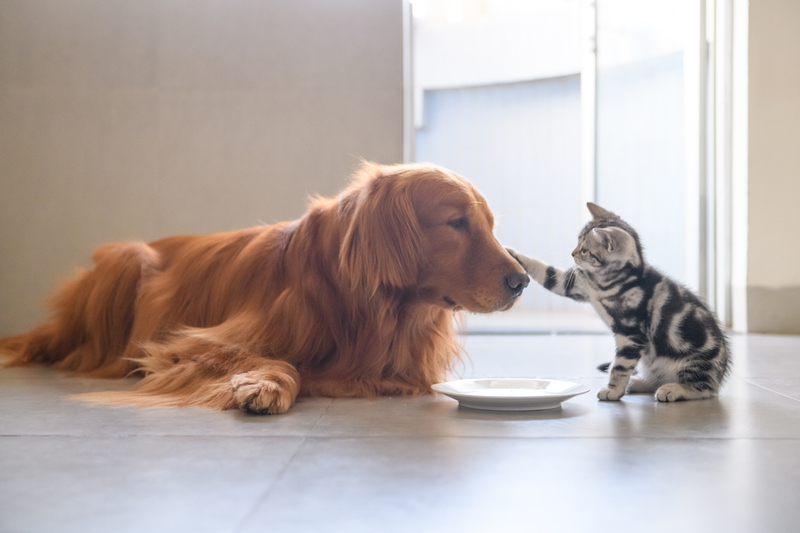 Studies indicate cats and dogs who consume raw meat diets are more likely to become infected with antibiotic-resistant bacteria. In September of this year, Performance Dog, a brand of frozen raw pet food, was recalled by the FDA due to possible contamination with Salmonella. During a two year study from October 2010 through July 2012, the FDA Center for Veterinary Medicine screened over 1000 samples of pet food for bacteria related to foodborne illnesses. This study determined raw pet food is more likely to be contaminated with disease-causing bacteria. 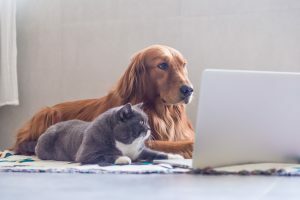 The study included 196 samples of commercially available raw dog and cat food analyzed for harmful bacteria including Salmonella and Listeria monocytogenes. Fifteen of these samples tested positive for Salmonella. Thirty-two tested positive for Listeria monocytogenes. In comparison, 120 samples of dry dog food were tested. None of these tested positive for harmful bacteria. Of 120 samples of dry cat food, one tested positive for Salmonella. Samples of semi-moist dog and cat food were also included in the study and none of these tested positive for harmful bacteria. Raw pet food should be handled carefully. It should be kept in your freezer until ready to use. Thaw in the refrigerator or microwave, not on the countertop. Refrigerate leftovers immediately or toss them. Avoid letting your pet kiss you around the mouth or lick your face right after they eat raw pet food. Hands should be washed thoroughly after handling raw pet food or touching your pet. Regardless of whether you feed your pet frozen or dry food, these safe handling guidelines should always be followed for your personal health and safety. There have been five subsequent pet product recalls since September 12, 2018 when the Performance Dog frozen raw pet food was recalled. For a complete list, go here.